If you want to showcase your business online or even just share an idea with the world the best way to do this is with a website. We dont offer a one solution fits all, that’s why Trentmedia can work with you to design and create a website that really shows off your products and services to everyone. By using the latest software we ensure your site meets the fast paced movement of todays world wide web. 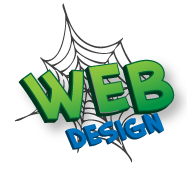 We use Dreamweaver, WordPress, Adobe Products, Swish Max, and other bespoke design applications. We understand that your business is your baby, so we will work alongside you keeping with your vision and using our passion and experience to create a website that will sell you as well as your business to your clients. All of our work is bespoke to the your needs and not a 1 size fits all product. From small hobby to full business sites including e-commerce and blogs, we are sure that we can help you to gain a fantastic online presence. Your website has the potential to seen by millions of people all around the world but if it hasn’t been setup properly for search engines such as Yahoo!, Google or Bing! then your company won’t pop up in search engines results. This is where SEO comes in! SEO is an area of the web industry which is often over-hyped and under-performed. Too many businesses are promised top rankings or unachievable results. If becoming No. 1 on Google or bing was that easy, we would all be there!